Gold on Tuesday continued its teeter-trending pivot around $900 an ounce, this time closing the day above the barrier and rising the most in a week. Oil was thrashed along with U.S. stocks, but silver and platinum marched forward. 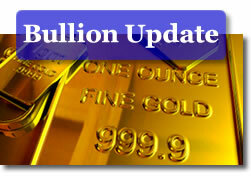 New York silver, gold and platinum futures rose 2.3 percent, 2.4 percent and 3.9 percent, respectively. March crude-oil plummeted to its biggest one-day percentage loss since Jan. 27. Oil lost $2.01, or 5.1 percent, to finish the day at $37.55 a barrel. The average price for regular unleaded gasoline increased four-tenths of a cent to $1.928 a gallon, according to AAA. March silver gained 30 cents to close at $13.13 an ounce. April platinum surged $39.00 to $1,034.90 an ounce. Gold for February rose $21.30 to end at $913.70 an ounce. "There’s a lot of investor anxiety out there and people are turning to gold for its perceived safety," Matt Zeman, a metals trader at LaSalle Futures Group in Chicago was quoted on Bloomberg.com. "With all the money the government is planning to spend or print, at some point in the future, we’re going to hit the inflationary wall." In spot trading, the London afternoon gold-fixing price — a benchmark for gold traded directly between big institutions — stood at $909.75 an ounce. London silver and platinum were at $12.96 and $1,031.00, respectively.